Stupid alien bugs trying to kill us all. XSEED Games is getting ready to release another Earth Defense Force game in North America. Know what that means? Another confusing mess of trans-oceanic naming conventions! Earth Defense Force 2 is making its debut, and it's technically a prequel to the previous games released in the US, which makes sense in other territories since it was actually released before them. Shrug. Cited as a fan favorite, the North American version of Earth Defense Force 2: Invaders from Planet Space (you read that correctly) was originally released in Europe and Japan for the PlayStation 2 and PSP. Invaders is being called the "definitive version" and carries a number of improvements over its predecessors, including four player online co-op, a new Air Raider class, and updated English subtitles. You know, to get rid of all that British slang and whatnot. 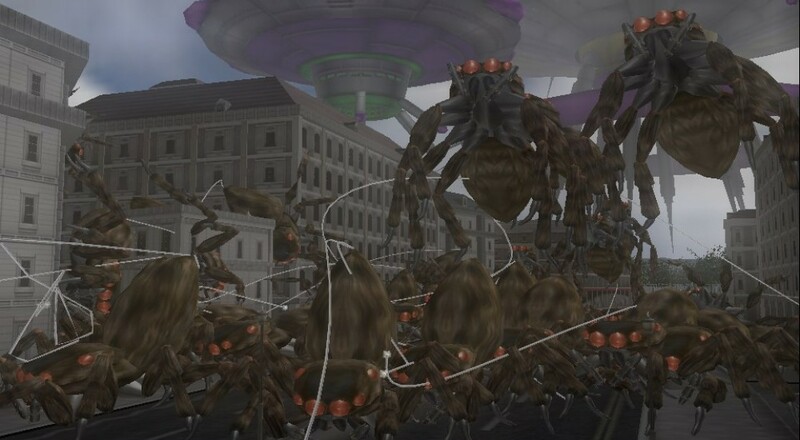 The basic idea behind the Earth Defense Force series is to defend the world from hordes of invading insect armies. You take the role of one of three military classes and fight it out in third person glory, complete with armored vehicles, jetpacks, trip mines, energy weapons, and good old fashioned shooty shooty guns. Earth Defense Force 2: Invaders from Planet Space is scheduled to launch in North America for PS Vita this fall. Both physical packages and a PlayStation Store release are planned. Page created in 0.7512 seconds.